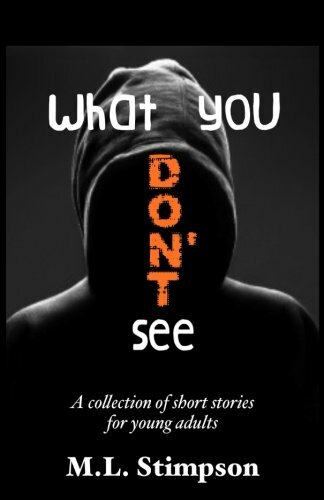 Written by a national bestselling author and former high school classroom teacher, these five short stories depict teens facing real-life problems and battling internal issues...some with better results than others. First and Last Wish - Daniel has only seen his father, Levi, twice in twenty years. That's because Levi has been in prison all of Daniel's life. But now, Levi is about to be released. Will Daniel open his stable life--and his apartment--to a father he barely knows? He Loves Me, He Loves Me, Too - The &quot;new boy&quot; has a crush on Bria Hopkins, which causes Bria's ex-boyfriend, Devon, to suddenly become re-interested in her. Bria is forced to choose between the two boys, but one of them doesn't take the news well. Unlucky - A disfiguring condition left Steven&#x2019;s face in a horrible state. All he wants is to be left alone. But when a group of students makes fun of him, Steven strikes back and has no regrets about his decision. A Different World - Samayia's life changes drastically when her custodial grandmother dies and her shady Uncle Lavon takes over the house. When Uncle Lavon goes to jail, Samayia is left to fend for herself. What will her future hold? It Happened on a Friday - Jacob Caldon is a fun-loving, popular jock who discovers that one inappropriate touch in the hallway may cost him everything. These short stories provide engaging reading for even the most reluctant young adults while teaching cautionary life lessons. Each selection includes a quick vocabulary guide as well as discussion questions. Michelle Stimpson is the author of more than 25 faith-based books for adults and 50 short stories for youth. To learn more about her work for young adults, visit www.WeGottaRead.com.